According to research by Houzz, an online platform for home remodeling and design, 28% of homeowners consider the integration of smart technology a very important part of their renovations. Samsung is helping to reinvent the modern kitchen with intuitive smart appliances, and recently launched its Chef Collection line of premium built-in appliances to the North American market at the New York 837 Center, on November 7th, 2017. Merging elegant design and industry-leading technology, Chef Collection brings Samsung’s most innovative and popular home appliance features to the premium built-in category. The Samsung Chef Collection taps into the aspirations of today’s homeowners by melding exquisite designs with industry-leading technology, bringing families new and innovative features along with their built-in appliances. All appliances in the line are Wi-Fi or Bluetooth enabled, which allows you to monitor and control your appliances while at home or away – all with the simple press of a button on your smart phone. 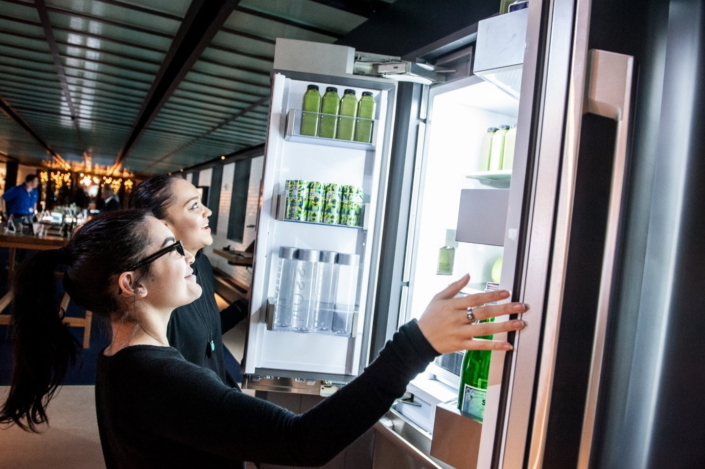 Samsung’s Chef Collection fridges feature the first fully integrated 42” built-in 4-Door Flex™ refrigerator with a FlexZone™ compartment that – with the touch of a button – conveniently transitions from a fridge to a freezer with four temperature settings. It also features Samsung’s View Inside cameras so consumers can see what’s inside their refrigerator from anywhere – including remotely from the grocery store. Samsung Chef Collection 30” Double Wall Oven with Flex Duo™ – the removable Smart Divider splits the upper oven into two sections that can simultaneously cook two dishes at two different temperatures – allows users to utilize features most often found in the kitchens of world-renowned chefs. Its steam cooking technology delivers moisture at precise times, so food has a crisp exterior and tender inside. 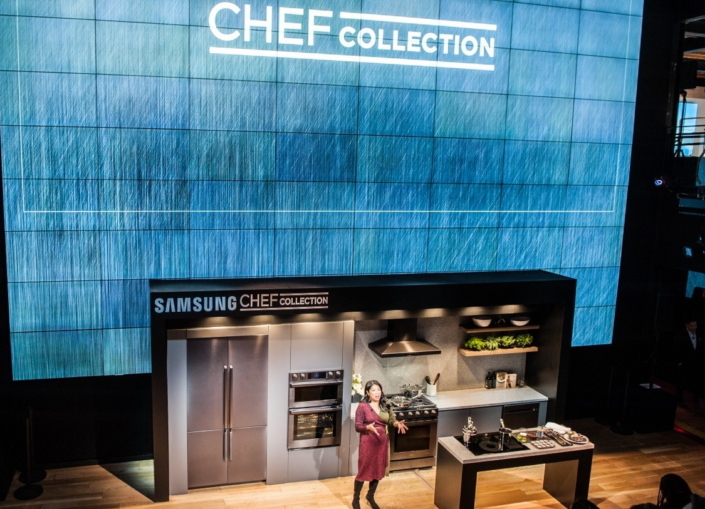 Visitors who attended the Samsung Chef Collection launch event in New York were particularly impressed with the variety of connected options woven into the line of premium appliances. The abilities to remotely pre-heat your oven, peer inside your fridge, or make sure your fridge door is closed via an intuitive smart phone app, were indeed a welcome addition to Samsung’s already impressive lineup of kitchen appliances. North America represents an important built-in market for Samsung Electronics and the company has quickly become a well-known home appliance brand name there. The estimated percentage of built-in appliances is about 15 percent ($4.2 billion)* of total appliances market in North America. Samsung successfully expanded its business there with the notable acquisition of Dacor in 2016, a leading American brand among luxury home appliance makers. 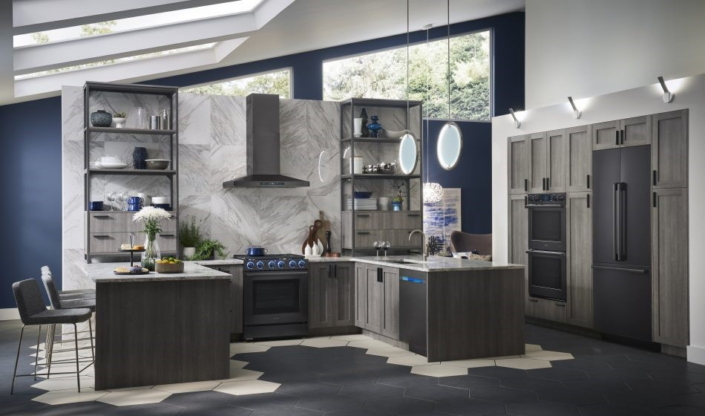 Earlier this year, Dacor launched its first line of premium kitchen appliances since joining the Samsung family with its revolutionary new kitchen lineup ‘The Modernist Collection’. Moreover, the Samsung Chef Collection was recently awarded four 2018 CES Innovation Honoree Awards, and was recognized for its technology in the built-in category. Building upon the success of Samsung’s impressive built-in offerings in the North American market, it has also made considerable inroads in other markets around the world, including Asia and especially Europe. 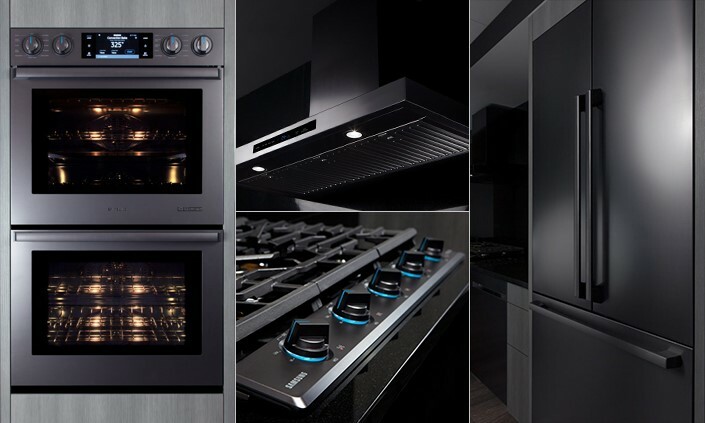 Samsung has released a wide range of innovative built-in appliances across Europe in cooperation with several leading European furniture companies such as Nolte of Germany, and recently opened a built-in showroom in Warsaw, Poland, known as ‘Cook Story by Samsung’. Together with its partners across North America and Europe, Samsung is adding modern connectivity to premium kitchen appliances that improve functionality by evolving with our changing lifestyles. The integration of smart technology into built-in appliances will be a big part of kitchens moving forward and Samsung will continue to leverage its technological expertise to further enhance your premium cooking experience.